2. According to the psychoanalytic social contagion theory, participants in riots are carried away by their subconscious, by their feelings, affects, or instincts. 3. Following the psychopathological convergence theory, individuals who share similar characteristics or abnormal traits, predispositions, or attitudes, or else members of social fringe groups gather in the riot situation. Schneider cites no studies in this context, but it might be interesting to trace the history of these lines of argument emphasizing psychopathology, ones which now seem to be largely out of favor. 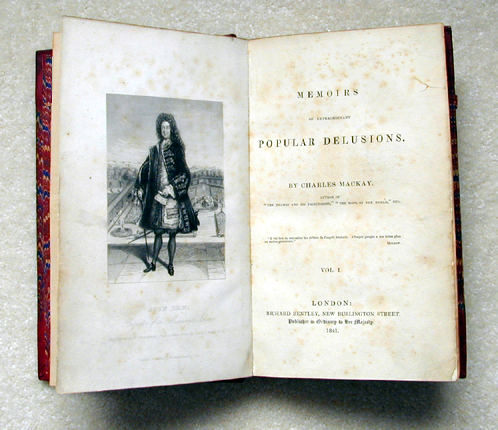 One might mention, for instance, Charles Mackay’s popular Memoirs of Extraordinary Popular Delusions, first published in 1841. Perhaps readers can suggest other primary and secondary works in this area? One must not leave out Karl Lamprecht, admired by the agrarian William E. Dodd, for his theory of Reizsamkeit. I quote at length from one of Lamprecht’s lectures at Columbia U. here: http://clarespark.com/2009/11/19/the-scary-city-lamprecht-becker-lynd/. I would love to know how many bearers of the agrarian ideology focused on mobs and riots engendered by speedy urban life. Several anthropologists have written about riots, some from a psychoanalytic perspective.